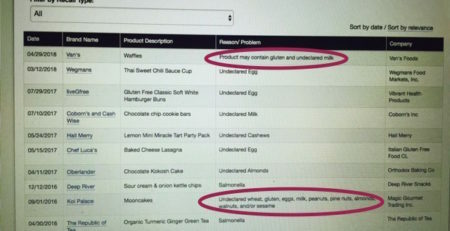 Please investigate labeled gluten-free foods containing wheat-based soy sauce and enforce your own rule. 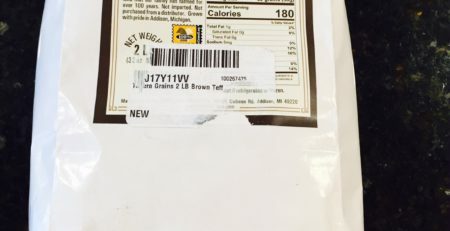 A gluten-free claim is included on the front label. Ingredients: Pineapple juice (water, pineapple juice concentrate), Soy sauce (water, soybeans, wheat, salt), Water, Vinegar (distilled, cider, water), Brown sugar, Sugar, Salt, Dehydrated garlic, Raisin juice concentrate, Spices, Orange peel, Caramel color, Natural flavor, Dehydrated onion, Vegetable gums (for consistency), Potassium sorbate & Sodium benzoate (preservatives). What additional requirements does FDA propose to verify a “gluten-free” claim on hydrolyzed or fermented foods? The food meets the definition for “gluten-free” in 21 CFR 101.91(a)(3), including that the food had less than 20 ppm gluten, before fermentation or hydrolysis. 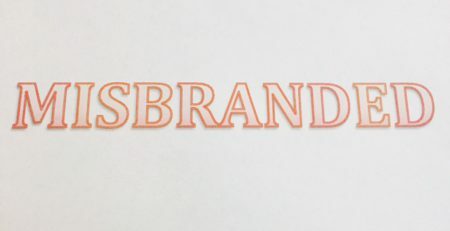 What is an example of a hydrolyzed or fermented food product that would still not be permitted to bear the “gluten-free” claim in its labeling under this proposed rule? Fermented or hydrolyzed soy sauce made from gluten-containing grains would not be permitted to bear a “gluten-free” claim, unless the grains were processed to remove gluten and the use of the ingredient resulted in the presence of less than 20 ppm gluten in the food. If, however, the soy sauce was made using a roasted grain that does not contain gluten, then it would be permitted to bear the “gluten-free” claim if it meets the other requirements of the gluten-free labeling rule. 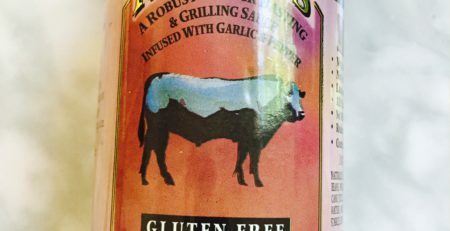 FDA, have you changed your policy on the use of wheat-based soy sauce in labeled gluten-free foods? 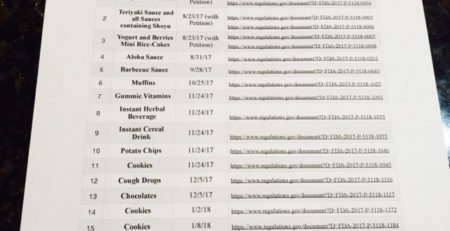 FDA, If you have not changed your policy, please reach out to the manufacturers listed above and assess whether they are in compliance with the gluten-free labeling rule. 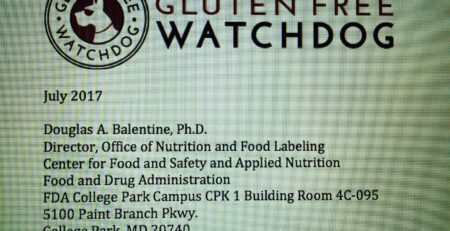 FDA, Gluten Free Watchdog is more than happy to send you the products we have in our procession for label verification. 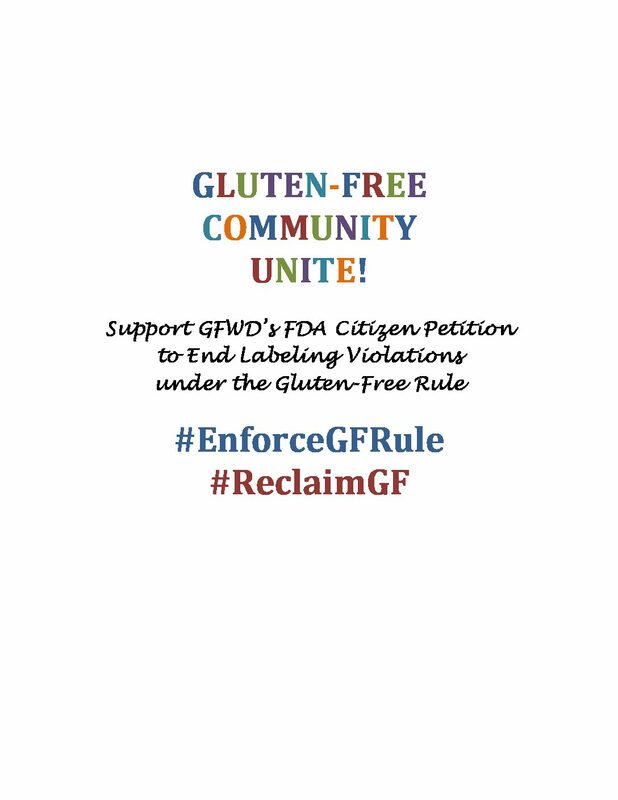 FDA, protect the health of people with celiac disease and enforce your own rule. We need the FDA to do their job–one that requires accountability, transparency and vigilance as their job is to protect, regulate, and safeguard the health and well being of all people. Protections for people with autoimmune issues; namely, celiac are critical. Helping them navigate the marketplace with “truthful” labeling of products is necessary to ensure their health and safety. We need the FDA to serve these needs first and foremost. Thanks so much for sharing your thoughts, Marianne. FDA, please enforce your own rule! Yes, we need the support of the FDA. Nearly 1 in 100 taxpayers have Celiac Disease, and those with Gluten Sensitivity and Intolerance only add to that ratio. 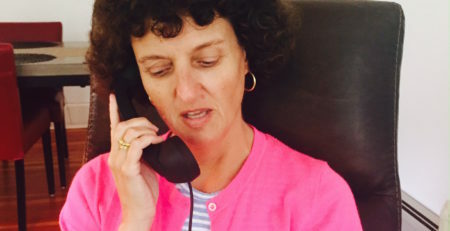 An informed advocate is showing the FDA some glaring regulatory failures. All the FDA has to do is act. 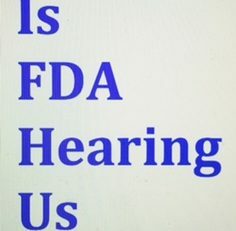 Please, FDA, act on your mission and your constituents’ behalf.